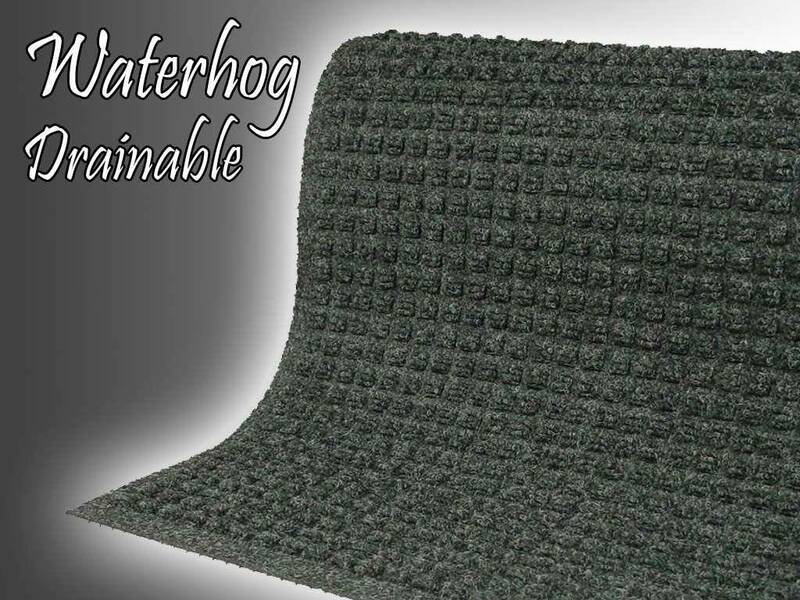 Waterhog Drainable is the perfect mat for outdoor applications. 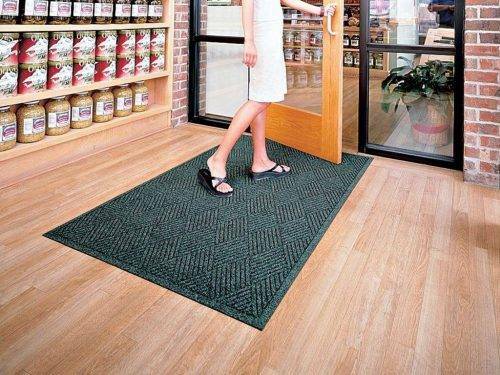 This entrance mat allows water to drain off the mat, making it perfect for completely exposed settings. 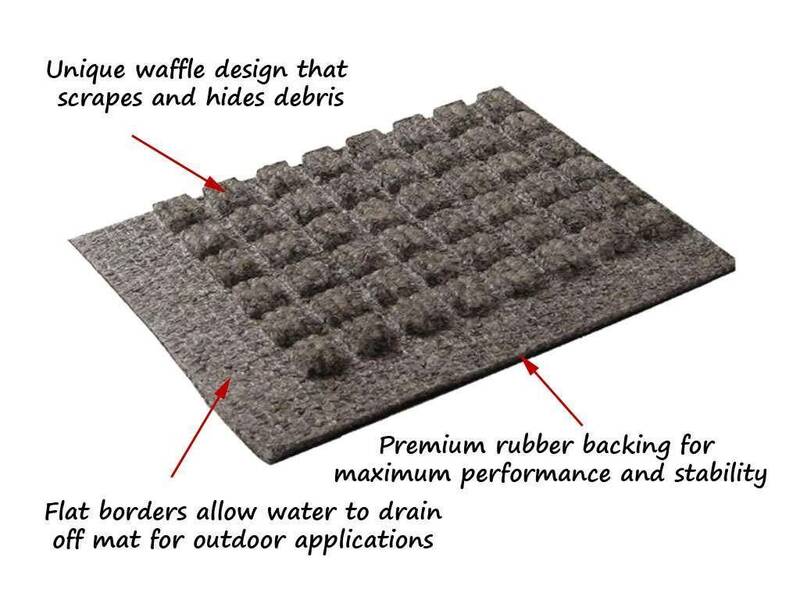 Unique waffle-surface door mat pattern effectively removes and traps dirt and moisture below the contact surface. 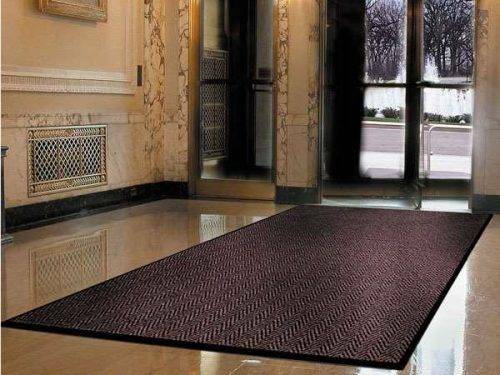 Rubber-reinforced waffle pattern prevent pile from crushing, extending the entrance mats service life! 24 oz. sq. 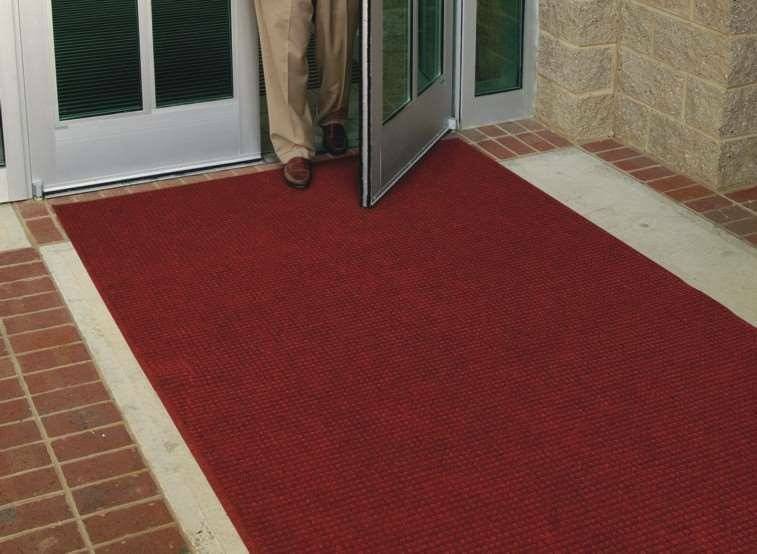 yd., 100% solution-dyed polypropylene carpet will not fade even in direct sunlight. 18 vibrant colors to choose from. 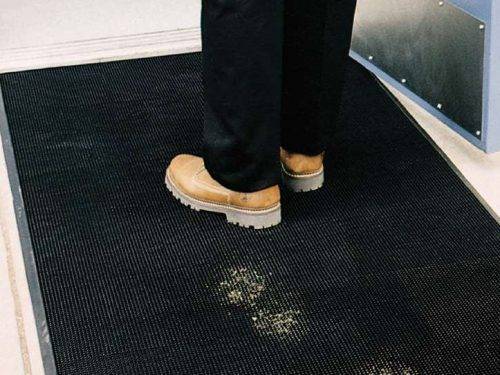 *IMPORTANT- All rubber backed matting has a manufacturing size variance of +/- 5%.